Jaina Sanga is the author of a critical book on Salman Rushdie’s fiction and editor of two volumes on South Asian literature. Her novel, Silk Fish Opium, is chronicle of the effects of the Partition of the country in 1947 on the Hindu and Muslim communities living in the country. Her short stories have appeared in a number of literary journals. ‘Train to Bombay’ won second place in Carpe Articulum’s 2010 International Fiction Contest, and ‘The Good Price’ was a finalist for the Texas Institute of Letters Prize in 2010. Her latest book, Train to Bombay, is a walk down memory lane and a tribute to the place where she grew up. Sanga was always fond of reading, but never thought she was meant to write. She studied English literature and taught English and Cultural studies for several years, but never had a premonition that being a full-time writer is what the future held in store for her. “When I was young, during the school holidays, I read constantly, often finishing a novel in a day,” says Jaina, who grew in Mumbai and later moved to the US in 1980 for higher studies. “But I never aspired to become a writer. I attended a boarding school in Mussoorie and when I was in Class VIII, I wrote a short story that impressed my teacher and she asked me to read it aloud to the class. For some reason, I was fascinated by chemical equations and laboratory experiments, but was never encouraged to go deeper into Chemistry. I studied English Literature in college, got my PhD in English from Case Western Reserve University and even worked as a professor for some years,” she adds. For the past 10 years, the words kept piling up and Jaina kept a record of them as short stories. 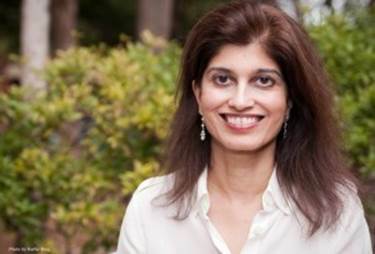 Jaina is the author of a critical book on Salman Rushdie’s fiction and editor of two volumes on South Asian literature — South Asian Novelists in English and South Asian Literature in English. “Train to Bombay won second place in Carpe Articulum’s 2010 ‘International Fiction Contest’ and The Good Price was a finalist for the Texas Institute of Letters Prize’ in 2010,” says Jaina, who now lives in Dallas with her husband and four children. Train to Bombay is Jaina’s second work of fiction; her first was Silk Fish Opium (2012). “I was born and raised in Mumbai and in some sense I feel that this book is a tribute to the city of my birth. Each story required some amount of research. For instance, I had to look up facts about the Gateway of India, when exactly it was built and so on. I wasn’t overly concerned with details of train timings and names of roads and buildings; instead, I tried to focus on images, scenes and smells. In each story, I wanted to convey the impression of the protean nature of the city,” she says. The book is a collection of seven stories, few published and all of them written over a course of six years. “I didn’t write the stories with a book in mind. Each time I finished a story I sent it out to various literary journals and sometimes I was lucky enough to see it published. It seemed logical to compile a book of Bombay stories. 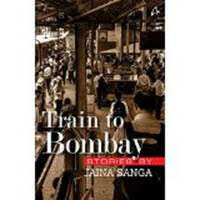 All seven stories are set in Bombay (or Mumbai) and Train to Bombay is the story that anchors the collection. The decision I faced when organizing the ‘Table of Contents’ was whether to place the title story first or last in the book, and I opted to place it at the end and begin with a story that features Ganesh, the god of beginnings,” she says. A full-time writer, Jaina also sometimes teaches a class on the International Short Story. “I try to write every day, from about 8 am until 2 pm. On a good day, I’ll have written a page. But good days are rare. It’s an excruciatingly slow process. Sometimes I work on a single paragraph for days, perfecting the pacing of sentences or describing character traits or a whole range of other things,” says Jaina, for whom writing is “neither an obsession nor a therapeutic activity — it is work”. “Currently I’m working on a detective novel,” concludes the author.